*BRIEFING RECORDING NOW AVAILABLE* Firing lasers into space sounds like something straight out of science fiction, but scientists use lasers every day for tracking objects in space, measuring the atmosphere, and shooting space junk. And space junk is this year's hot topic; around 170 million pieces of man-made space debris ranging from the size of a bus to small flakes of paint are clogging up space around the Earth. Travelling at high speed, this debris endangers space services every day, threatening GPS, communication systems and atmospheric monitoring, not to mention astronauts. 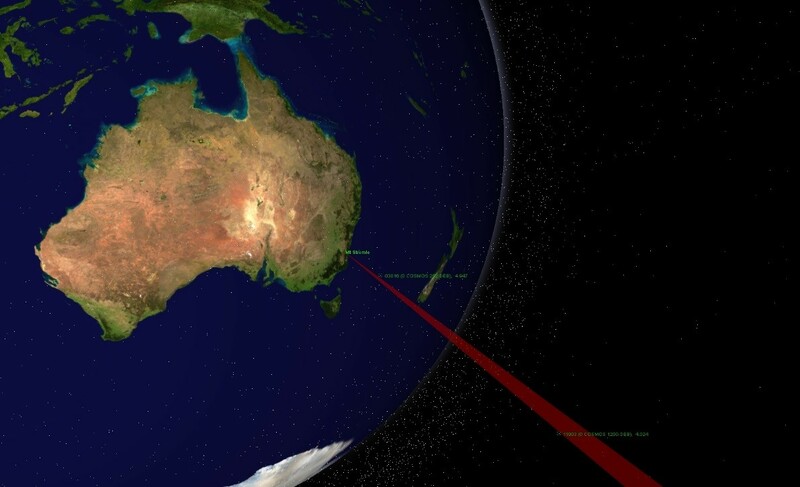 The upcoming 21st International Workshop on Laser Ranging (IWLR) 2018 will feature experts from all over the world discussing this very issue. Join us for a sneak peek into the latest in space lasers from a former NASA engineer, an award-winning professor of geophysics and a world leader in commercial space research. Professor Thomas Herring is a Professor of Geophysics in the Department of Earth Atmospheric and Planetary Sciences, Massachusetts Institute of Technology (MIT), Cambridge. Associate Professor Moriba Jah is from the University of Texas at Austin and an independent member of the SERC Research Management Committee.